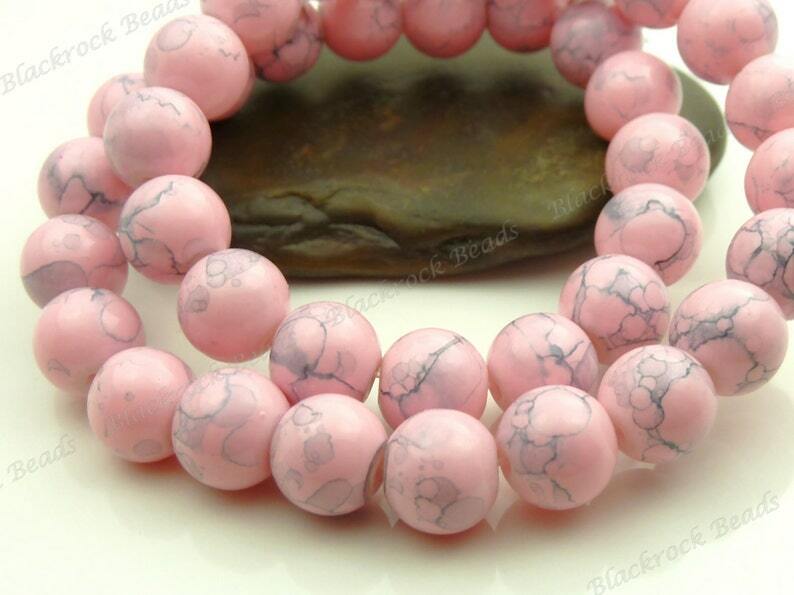 Colorful round glass beads in Carnation Pink with dark gray to light black swirls. These are 8mm opaque beads with a mottled pattern and a smooth, shiny finish. They have about 1mm bead holes and you will receive 25 pieces with this purchase. Very nice beads! Well made and shipped very safely!